What’s the first thing we do when we hear of a new topic that entices our interest these days? We search it up on our smartphones and let Google do its job. After which the pages that gain our attention are the ones on the top, and the rest is all ignored for obvious reasons. When potential clients search your company on Google, will they find an attractive and professional website? Or, a Google map page? Will they be able to find your company’s social media profiles? Also, are they going to see it on the first page or the next 20 pages? How is all this bound to happen? Let’s find out. How To Use SEO To Connect With Potential Clients? Using a Digital Marketing Firm like CM3 Solutions can connect you with your potential clients. Several search engines receive hundreds of thousands of searches daily. As more people are now using online searches to find what they need, the same is the case with SEO Accountant searches. The point to note here is that your page should end up in the first list when potential clients are looking for the best accountant firms and tax professionals. SEO is the process of making your page more visible to your clients for a set of keywords that they are using so that it quickly shows up in front of them. It is an opportunity given to small businesses and setups with a small marketing budget to compete with large and developed companies in the same field of work. A keyword is a word or a set of words or phrases that define the details of your work. It depends on the kind of work you do, all the services you provide to your clients, your area of expertise, what your locations are, and even the employees that are working at your company. The main objective of your keywords is to make your SEO Accountant search easy. These set of keywords determine how easy it will be to locate your page and the easier it will be for your clients to get to know you and the services you are offering. 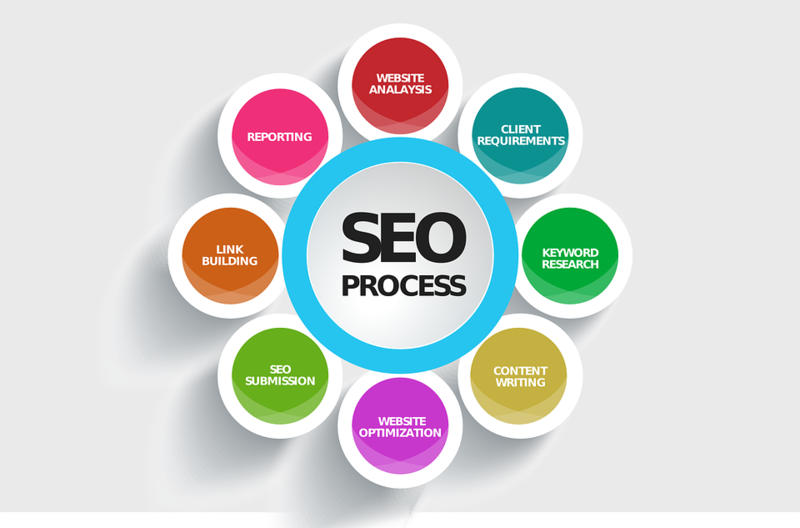 Therefore, SEO implements these keywords in such a way that the search shows up according to your customers’ requirements that they type in the form of word search. Whether you are a small business looking for SEO or large accounting firm connecting your company to pages that share the link to other similar firms or a potential customer base offers great importance to your marketing strategy especially for your SEO Accountant goals. Online directories provide a vast variety of information to your customers and are sought by people all over the world to fulfill their requirements. Pages like Tax sites and Accounting Directories like expertise.com can link your page for reference and offer a great deal of help and highlight your firm. As smartphones are the first go-to option when any search is required, it is necessary that the content on your page complies with mobile devices and is easy for your clients to understand. Always use a language that universally understood by everyone. Customers should not have to wander around the page looking for information. Everything should be accessible right in front so that customers hit the contact button right there and then. One thing we are all obsessed with is our social media profiles. So, never forget to add links to your social media profiles. The content on the site matters a great deal. It should be easy to decipher and to the point and at the same time should be specific enough to grab your clients’ attention in an instant. The keyword presence will make or break the situation. SEO Accountant presence is of utmost importance here. Once your client has entered your page, you have a few seconds to grasp their attention; otherwise, they move on to the next site. Use attractive and enticing headers that include keywords. The use of links in the content can help your clients understand your services better. It lets them shift between pages to experience a better search and to get to know your company a lot better. Do you want your online presence to great heights? CM3 Solutions can help you build content that will enable your page to rank on the top for SEO Accountant searches and help page visitors become organic visitors. We focus on not only your web pages but your social media presence like on Facebook. You will find the best consultation that you can trust at our digital marketing agency near you in Maryland. Our digital marketing agency based in Frederick MD can help your online business grow. Follow the link if you are interested in learning more about our SEO in Frederick MD. Please contact us here if you would like us to help you. We would love to help your business grow.